Topline: Porsche officially pulled the wraps off the 992-generation 911 at the Porsche Experience Center Los Angeles after months of teasing us with the eighth generation of its flagship sports car. The good news? 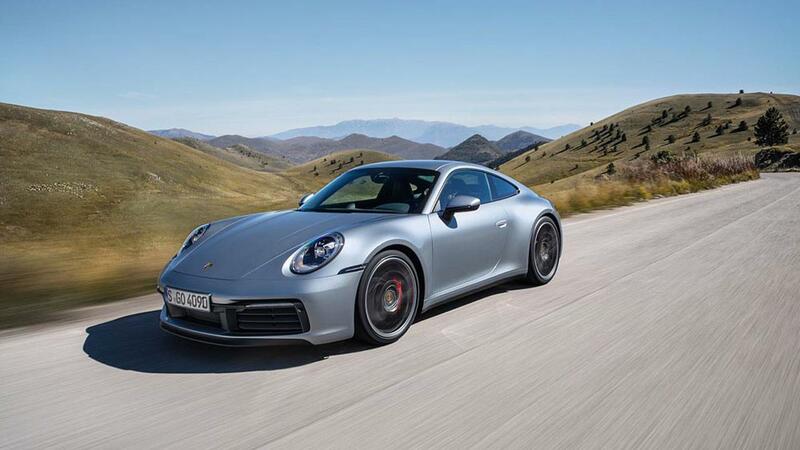 It's still a 911, with a 3.0-liter turbocharged flat-six in the rear sending power to the back wheels in its purest form. What's New: The 2020 911 Carrera S and its all-wheel-drive twin, the Carrera 4S, get a 23-horse bump to 443 horsepower thanks to a revamp of the turbocharger and intercooler layout. 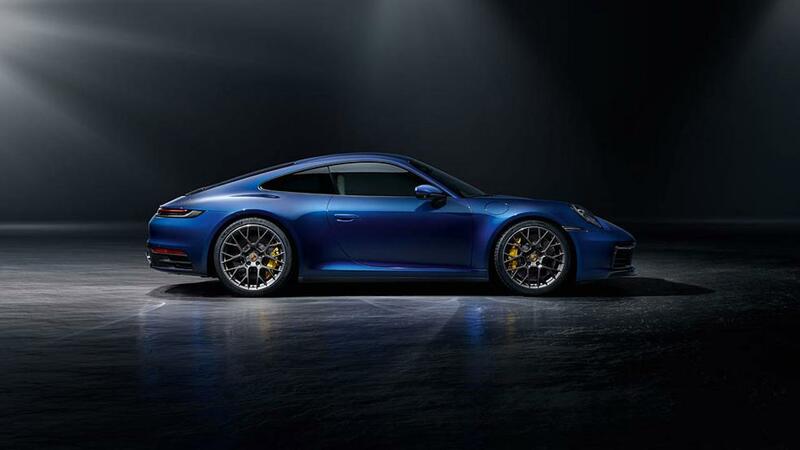 With an all-new eight-speed PDK transmission, the rear-drive Carrera S can zip from 0 to 60 miles per hour in 3.5 seconds and to a top speed of 191 mph, while the 4S sprints to 60 in 3.4 seconds, up to 190 mph. The familiar Sport Chrono Package shaves off another 0.02 seconds when equipped to either drivetrain option. 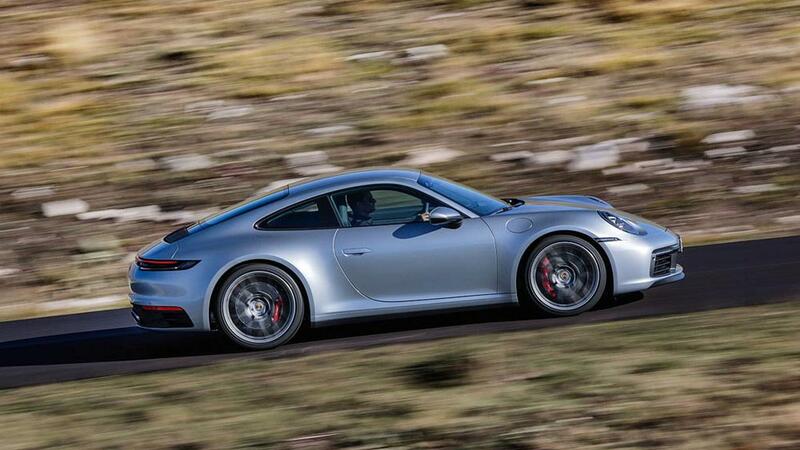 For the purists, however, Porsche also mentioned that a manual gearbox option will be available soon. 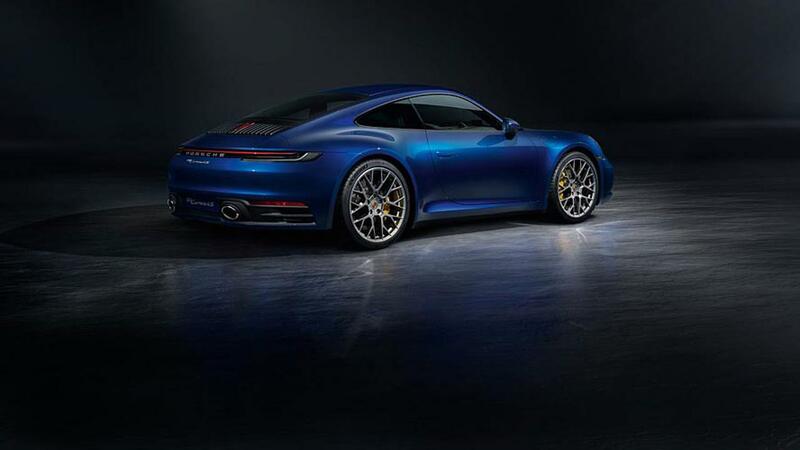 A new 911 generation must have a noticeably more refined design, and the 992 delivers with a purposefully muscular shape, having been widened by 1.77 inches, accommodating larger wheel wells for 20-inch rollers in the front and 21-inch wheels in the back. The 911's signature rear light bar is now available on both the rear and all-wheel drive trims, complemented by a larger retractable rear wing. The car also has electric door handles that only appear when they're needed. 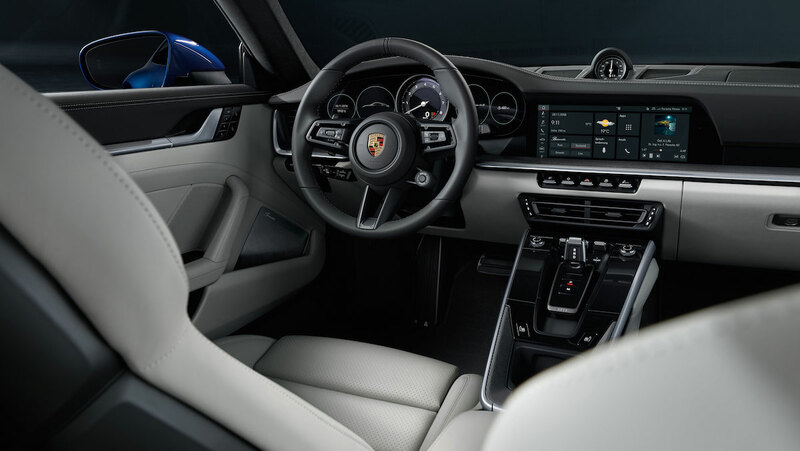 Classic 911 and 930 aficionados might notice some of the influences for the 2020 911's interior, which is also much cleaner than previous models' thanks to efforts to digitalize and streamline the vehicle's cockpit. 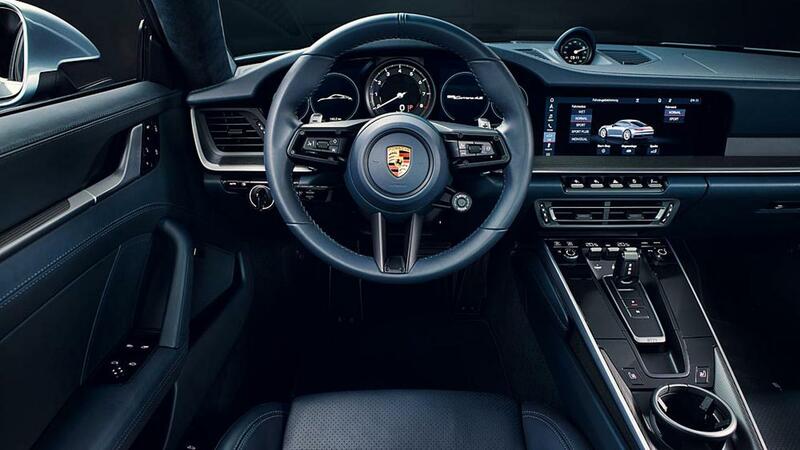 The center-mounted analogue tachometer is still there in classic Porsche style, but it's now flanked by two low-profile frameless displays that make up the rest of the instrument panel. 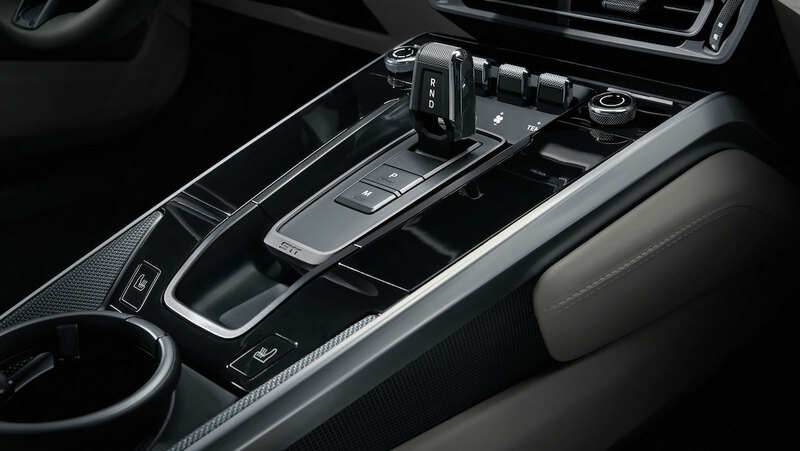 The center console is even more refined, with just five toggle switches acting as the infotainment system's function keys. 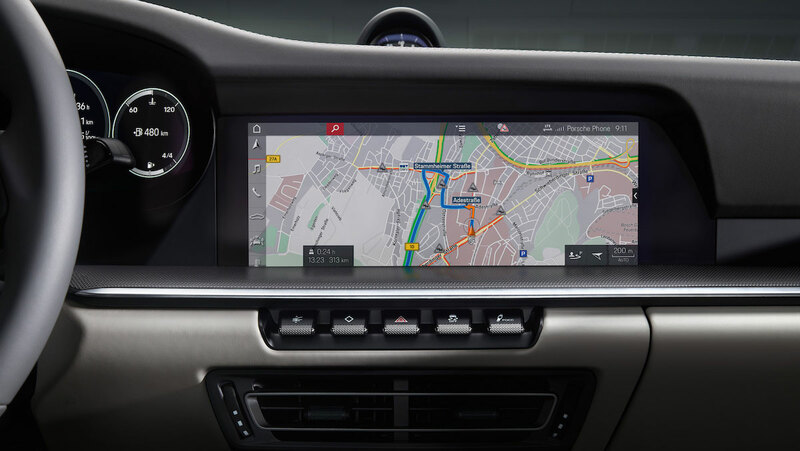 Perhaps the most useful technological innovations of the 992 911 are its new assist features. Wet Mode, which is standard on all trims, will incrementally engage the car's stability control and anti-lock braking systems when it detects rain to make driving in the wet much safer, and will automatically deploy emergency braking if it perceives a collision with another moving object. Purchasers will also find a new Night Vision Assist thermal camera in the options list. Adaptive Cruise Control has also been updated with stop-and-go functionality and automatic distance control. What You Need to Know: While only the $113,200 Carrera S and $120,600 4S were shown at the unveiling ceremony, expect Porsche to roll out its regular crop of trims and variants in the coming months. In the meantime, the S variants can be ordered now and will arrive in U.S. showrooms in summer 2019. The eighth generation of Porsche's iconic sports car comes Tuesday at 11 p.m. EST.